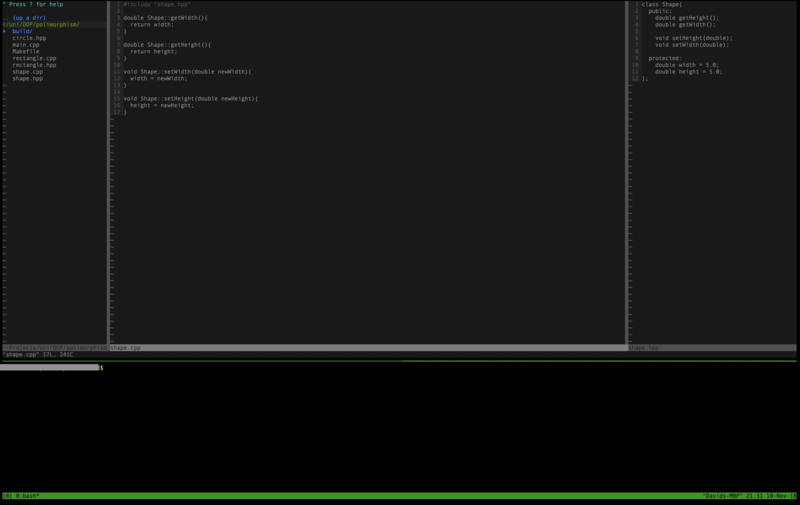 I am trying to create my own C++ environment inside of VIM. As you can see, only NERDTree has full syntax highlighting (which isn't too important) and the .cpp only has limited header colours (should be different) and none on the hpp file. How can I get syntax to work on my c++ file with this setup? Also the following information may help as it may affect configuration. And a few others that belong to nerd tree. What you are doing here is a little bit "catch-22". 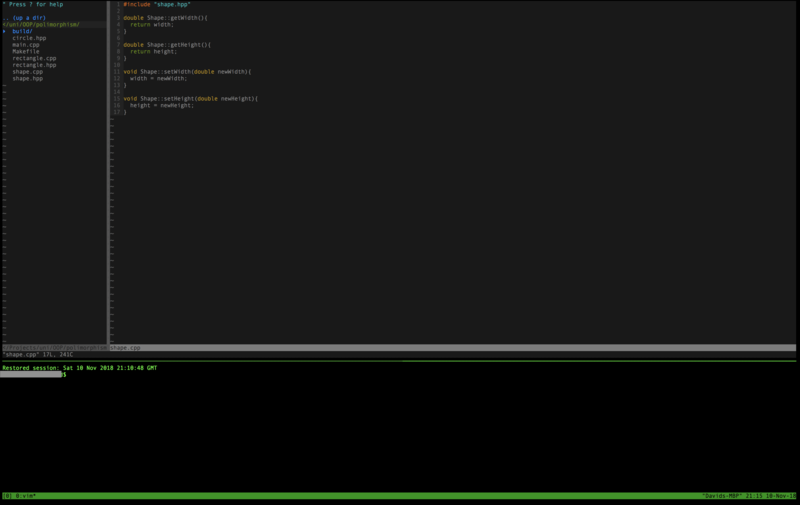 Unfortunately this triggers a error in a.vim, which is solvable. But this doesn't help, as the real problem is the cascade of autocmds. As soon as the hpp file is opened it again triggers the autocmd for the FileType cpp. Not what you want. Not the answer you're looking for? Browse other questions tagged syntax-highlighting split macos or ask your own question. Why local syntax file is not working? Is it possible to make a specific section have a different syntax?